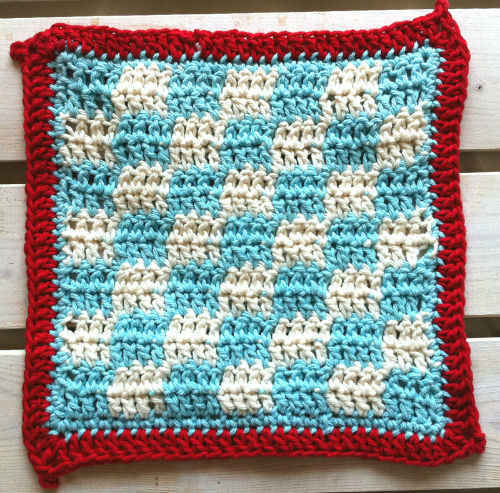 RED HEART® Super Saver®: 1 skein 315 Artist Print.Susan Bates® Crochet Hook: 5.5mm [US I-9]. 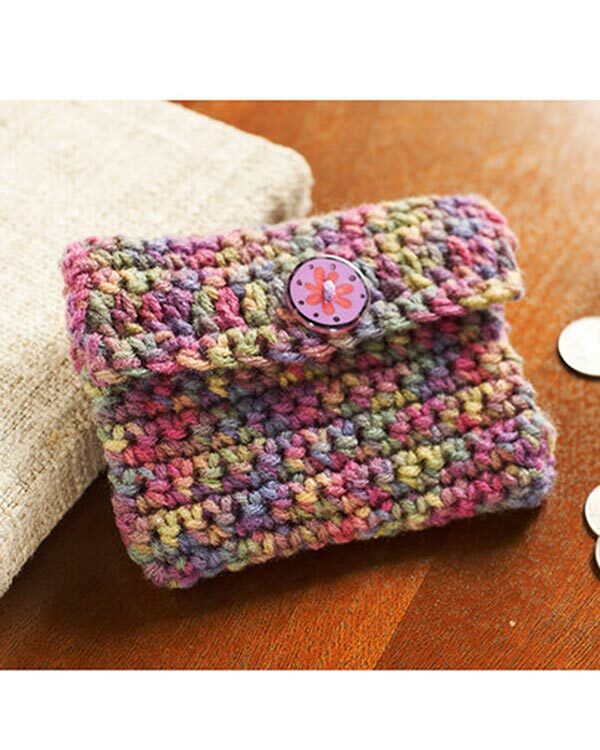 Size: Purse measures 5” x 4” (13 x 10 cm). Row 1 (right side): Sc in 2nd ch from hook and in each ch across, turn—17 sc. 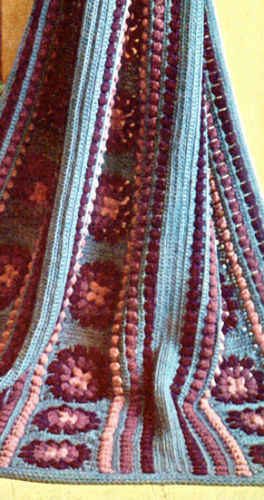 Repeat Row 2 until piece measures 8” (20 cm) from beginning, ending with a wrong side row. Place a marker at each end of the last row worked. Continue working in sc 1½” (4cm) more, ending with a wrong side row. Next row (right side): Ch 3 (counts as dc) skip first sc, sc in each remaining sc to end, turn—17 dc. Next row: Ch 1, sc in each dc across. Fold piece with right sides together and foundation chain even with markers. Sew sides up to markers, leaving flap free. Turn to right side. Sew button opposite dc row (use space between stitches as buttonhole). Weave in ends.